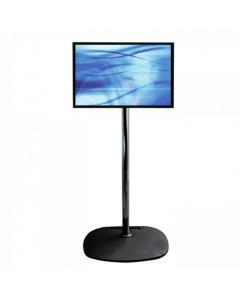 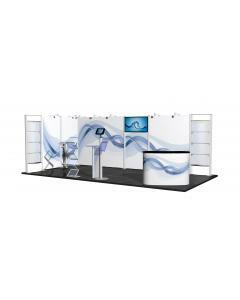 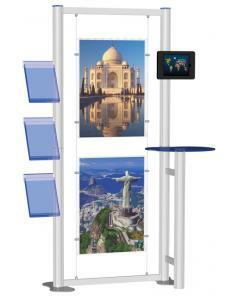 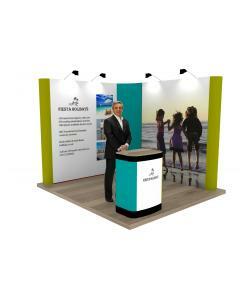 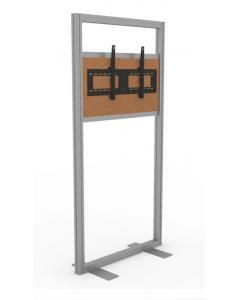 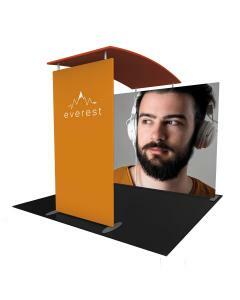 The Centro Audio Visual Display Stand Kit 1 is part of the clever Centro modular exhibition display system. 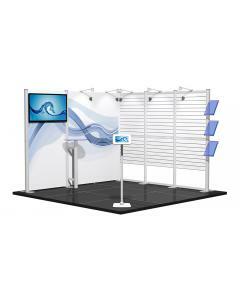 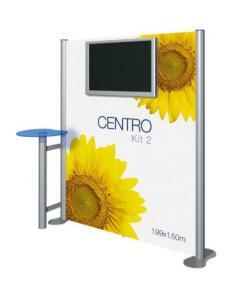 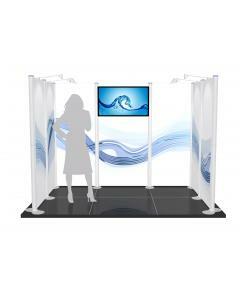 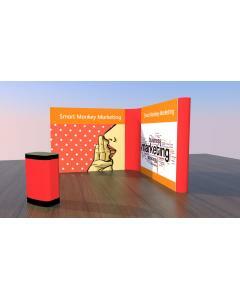 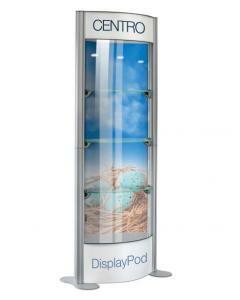 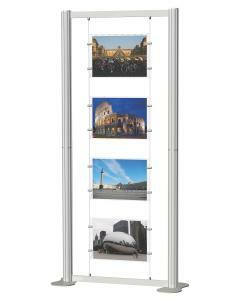 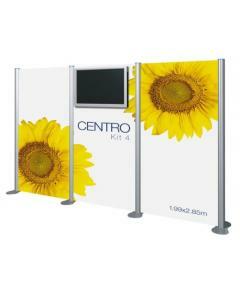 It couldn't be simpler to set up your Centro modular exhibition stand - watch the demo video on the video tab above. 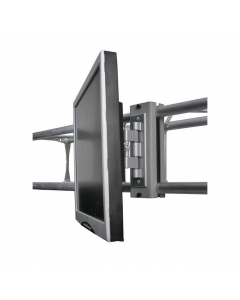 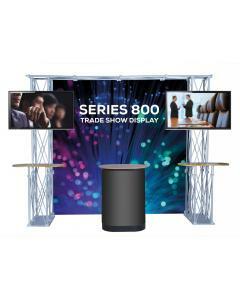 The Centro AV Display Kit 1 includes a space and bracket for a screen or monitor (suitable for screens up to 42") and an incorporated podium display table for either displaying products or literature. 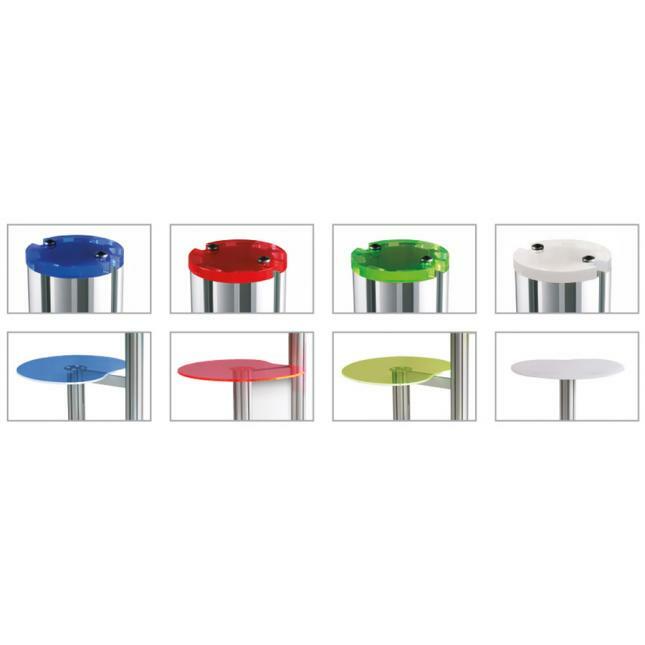 The acrylic table top has a special non-scratch surface and is available in 4 colours – red, blue, frost white and green. 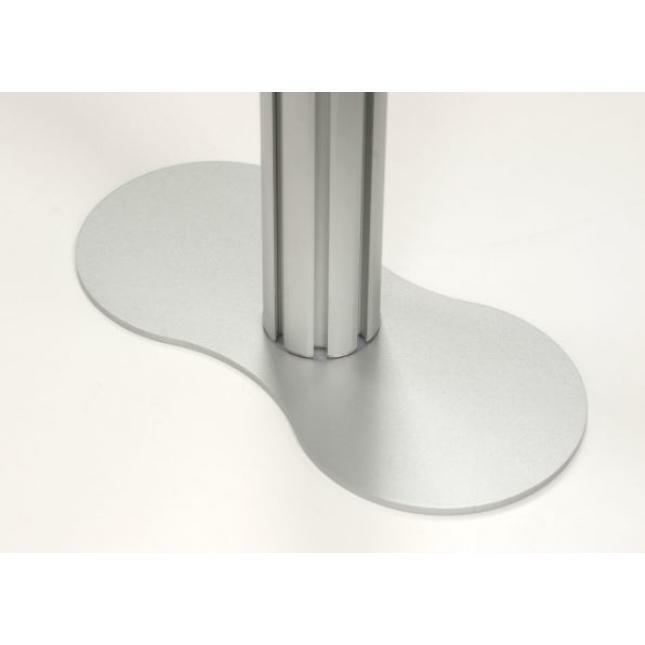 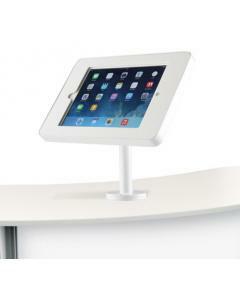 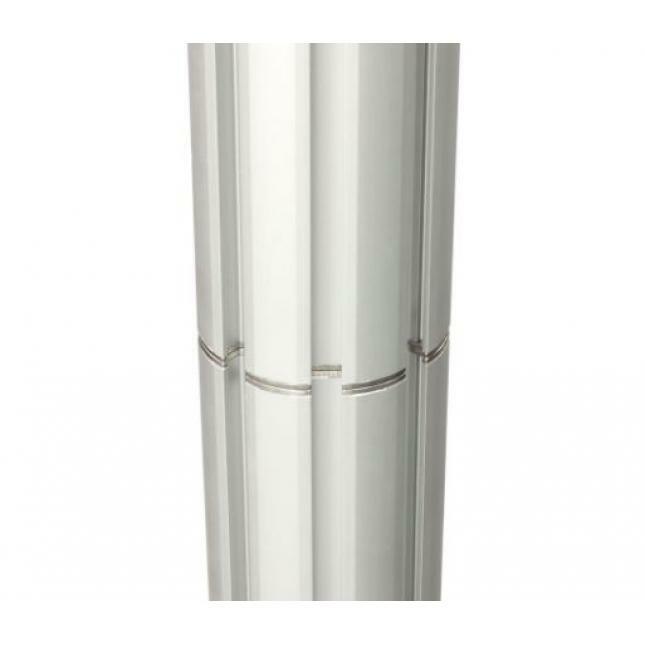 The two Centro posts have acrylic end caps at the top in a colour to match the podium table. 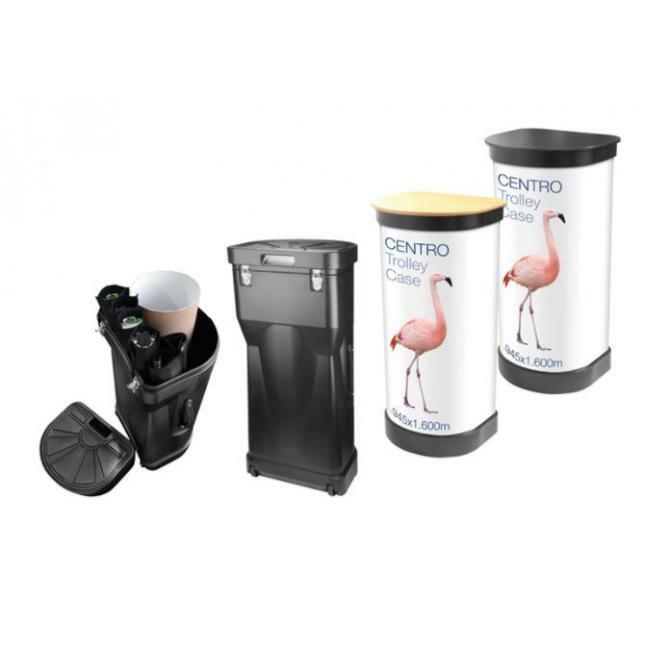 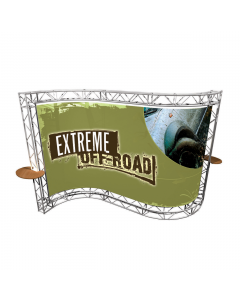 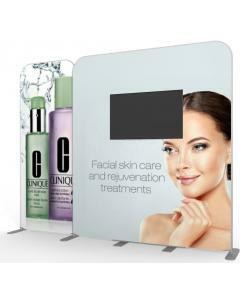 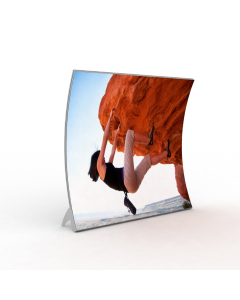 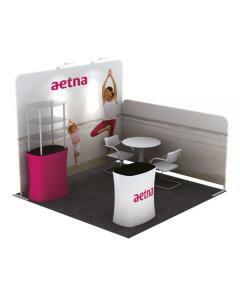 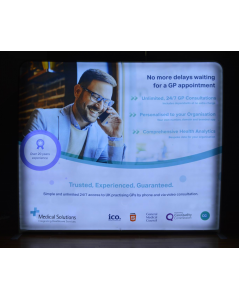 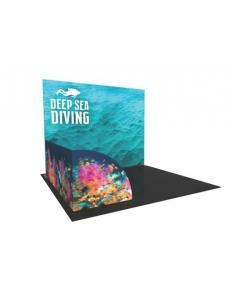 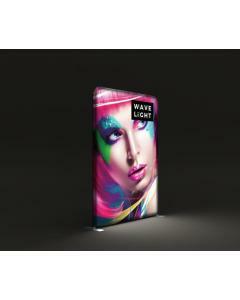 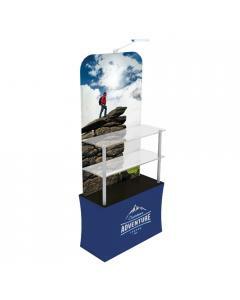 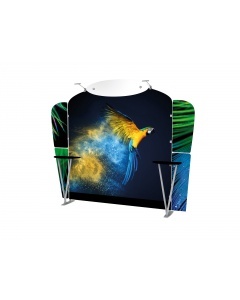 The Centro AV Display Kit 1 is customised with a printed graphic panel to further market your brand or product range. 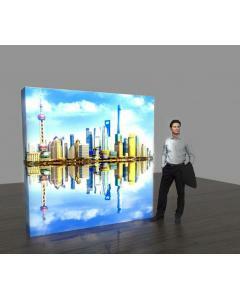 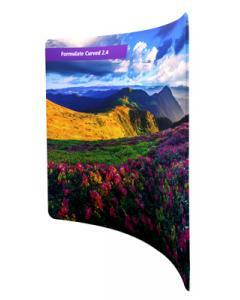 We will print your artwork on high quality laminated media to ensure a scratch resistant finish. 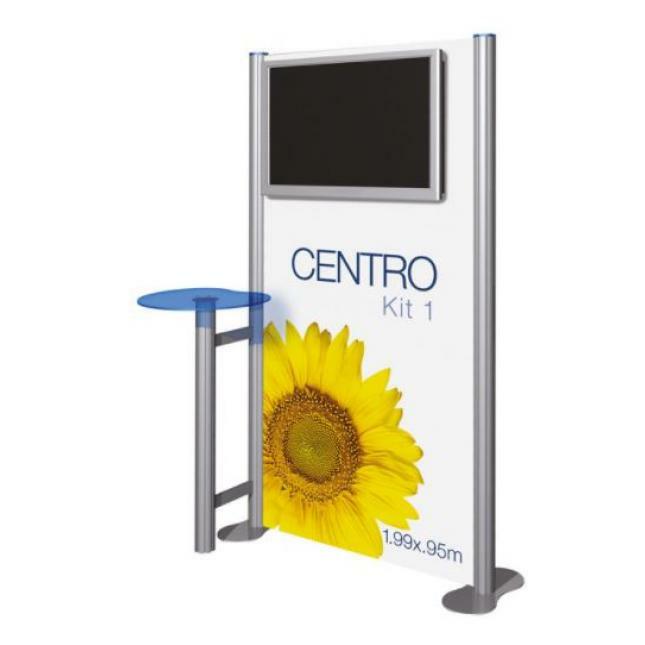 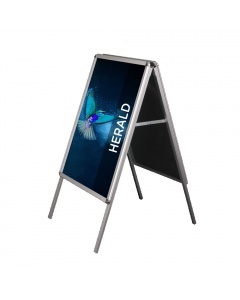 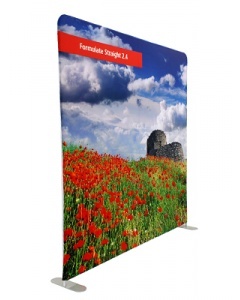 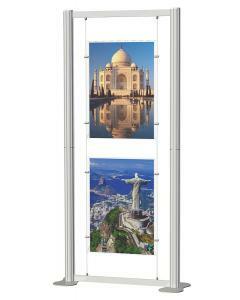 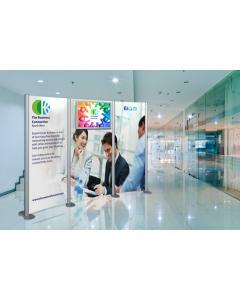 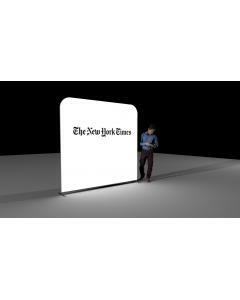 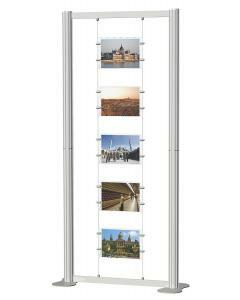 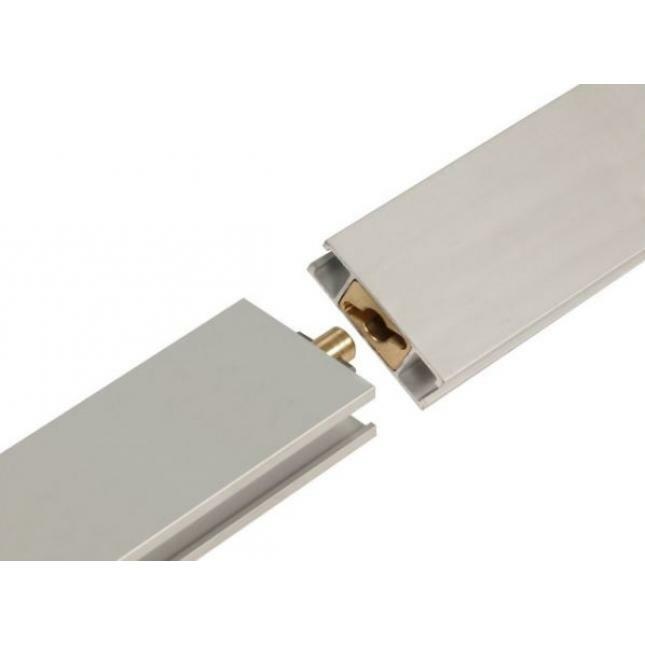 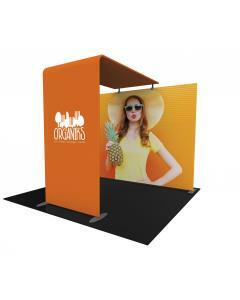 Your graphic panel is printed on rollable media and attaches to the Centro framework with magnetic tape. 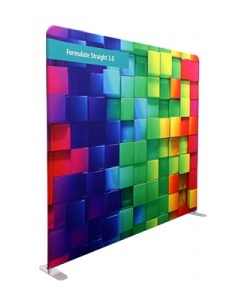 When placing your order please indicate your preferred colour choice in the comments box at the checkout and advise what screen size you will be using to allow us to send the relevant monitor bracket with your display stand. 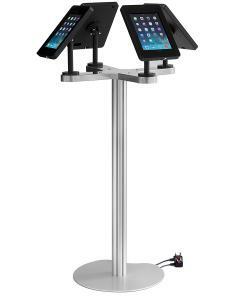 Why choose the Centro Audio Visplay Display Stand Kit 1?